Phenobarbital is a Generic name for an anti-seizure drug. It is recommended from World Health Organization (WHO) for the treatment of epilepsy. It is also used to treat insomnia, and as a sedative to treat tension or anxiety. In recent times, the usage of this medicine has evolved to cure certain types of seizures in young children and to control bilirubin level in the body of a newly born infant. It is also known as phenobarbitone or phenobarb and has antipsychotic property. What is Phenobarbital molecular formula and weight? Phenobarbital belongs to the class of organic compounds known as barbituric acid derivatives. These are compounds containing a perhydropyrimidine ring substituted at C-2, -4 and -6 by oxo groups. 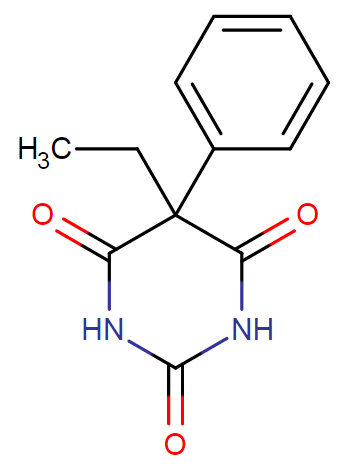 Phenobarbital is a barbiturate, usually used as antiepileptic drugs. How does Phenobarbital work in the body? Phenobarbital is a derivative of barbituric acid and works by slowing down the brain and nervous system. It activates the gamma-antibutyric acid (GABA) A-receptor by binding with them, thereby mimicking the inhibitory actions of GABA in the brain. The activation effect is associated with the rapid influx of chloride ions in nerve, membrane hyperpolarization leading to synaptic inhibition and decreased neural excitability, thus reducing tension and anxiety. Direct blockage of excitatory glutamate also contributes to the anticonvulsant/hypnotic effect. Barbinol (tablet) – Human Antibiotic pharmaceuticals Pvt Ltd.
Barbinol 100, 200 (injection) – Human Antibiotic pharmaceuticals Pvt Ltd.
Epitan (tablet) – Reliance Formulation Pvt. Ltd.
Phenobarbitone sodium (injection) – Nicholas Piramal India Ltd.
What is Phenobarbital used for? 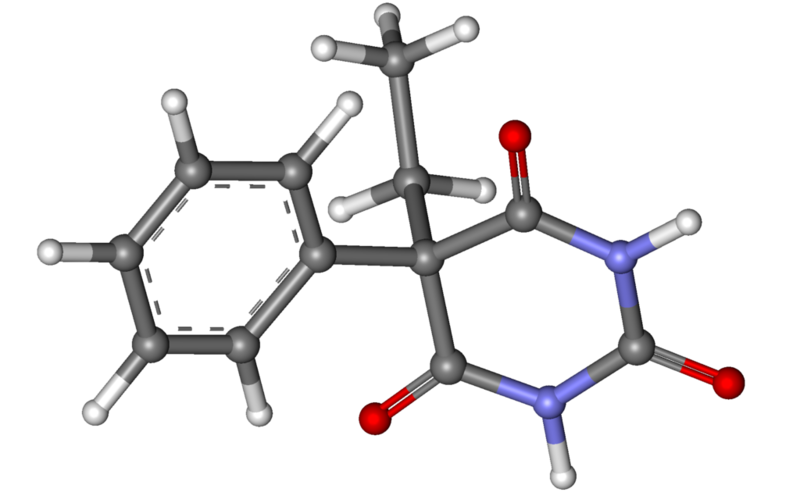 Phenobarbital is used for treating certain types of epilepsy. It is the first-line drug for status epilepticus. It is also first-line drug choice for the treatment of neonatal seizures. It is used to treat all types of seizures except absence seizure. It is often used to treat insomnia (difficulty in sleeping). It is also used as a sedative to treat the symptoms of anxiety and tension. One major use of Phenobarbital is in the removal of bilirubin from a newly born infant’s body. Bilirubin is removed by liver however sometimes, the liver of a newly born takes the time to start working efficiently. In such cases, phenobarbital is administered to remove the bilirubin produced by the body. Why Phenobarbital can’t be used for absence seizure? Phenobarbitals may prove effective in controlling AAS, but the risk of sedation and dependence limits their use. A large Canadian study evaluating retrospectively CLB efficacy in the management of various epileptic syndromes involved 139 AAS patients. The majority of these patients were reported to be responders. In a recent randomized, placebo-controlled trial evaluating CLB efficacy in LGS, the treatment outcome on AAS was not reported. It must be noted that benzodiazepine administration might aggravate tonic seizures in Lennox-Gastaut syndrome patients, especially when administered via an intravenous route. A certain degree of efficacy was observed with LTG in retrospective studies. However, in a randomized, placebo-controlled study of 16-week duration involving 169 patients with LGS, there was no statistically significant difference between groups with regard to AAS: a 13% decrease in atypical absence frequency was reported for the LTG group versus 38% for the placebo group. In Dravet syndrome, atypical absences were not influenced by LTG treatment, but the aggravation of other seizure types was reported in 80% of cases. Seizure dosage – 30 mg to 250 mg of Phenobarbital in single or divided doses is recommended to prevent seizure. Treatment of insomnia – For insomnia, recommended dosage for an adult ranges from 100mg to 200mg during bedtime. For sedation purpose, 30 to 90mg is recommended in 2-3 doses daily. Seizure – For treatment of seizure in children, the recommended dosage ranges from 1mg to 6mg per kilogram in divided doses. Sedative – For the sedative purpose, the recommended dosage in children below 12 years of age is 2mg per kilogram of weight, taken 3 times daily. Many things can affect the dosage of medication such as other continued medications, medical conditions of the body etc. Consult a doctor before starting your medication. Once started, it is strictly advised not to discontinue the medication abruptly or without consulting a doctor. It can cause adverse effects on your body. Also, Phenobarbital has an addictive effect, when used in long term. It should be kept out of range of children and drug addicts. The drug dosage much is reduced periodically instead of just stopping it suddenly to reduce its withdrawal effects on the body. The maximum dose for Phenobarbital is 600mg daily. This dosage is to be taken in most adverse conditions, with the consultation of a doctor. Also, chances are high that your body will show withdrawal effects when you return to normal medication from such high dosage administration. A side effect of any medication is the unwanted response of the drug over the body on its normal dosage. Any medication can have side effects. It can be mild or severe, short-term or permanent. And it is also not necessary that everyone show the side effects. The internal build up of everybody is slightly different from other, therefore, not everyone shows the same response to the administration of any drug over their body. Therefore, it is always advised to contact a doctor as soon as you notice any unwanted or diverted response of drug on your body. Side effects of Phenobarbital are listed below. Almost 1% of the users have reported these side effects. In elder patients, excitement and confusion are the most prominent side effects. On children, its usage may cause paradoxical hyperactivity. Signs of anemia (low blood cells) i.e. pale skin, dizziness, unusual tiredness or weakness, shortness of breath. Signs of depression e.g. change in weight, poor concentration, decreased interest in activities, changes in sleep patterns, and thoughts of suicide. Signs of clotting problems e.g. unusual nose bleeding, coughing blood, blood in urine, bleeding gums, bruising, cuts that don’t stop bleeding. Signs of liver problems i.e. nausea, vomiting, loss of appetite, diarrhea, yellowing of the skin or white part of the eyes, weight loss, dark urine, pale stools. Apart from the above side effects, there are some severe signs when you should stop Phenobarbital usage immediately after consulting a doctor. Signs of serious allergic reactions i.e. abdominal cramps, difficulty breathing, swelling of the face and throat, vomiting and nausea. Signs of severe skin reactions i.e. peeling, blistering, rashes covering a large area of the body, rashes with fever or discomfort or rashes that spread quickly. Sometimes, the patient may also experience side effects not listed here. Seek immediate medical attention if you notice any unexpected response of the medication on your body. Each ml of red liquid contains 15mg Phenobarbital. Tablets are also available in the market for 16mg, 32mg, 65mg content of Phenobarbital. For parenteral route, injections are available in the market. Yes, Phenobarbital is addictive. The body can adapt to the long-term use of Phenobarbital, causing severe uneasiness, anxiety if stopped abruptly. Either, it should be used for short-term use or should be stopped over a specified period of time with periodically, reducing dosage (when used in long term) as per the advice of the doctor. Phenobarbital must not be given to drug addicts and should be kept out of reach of children. Can Phenobarbital make you high? Yes, Phenobarbital can make you high. It mainly affects central and peripheral nervous system, slowing down the body functions. Sometimes, its normal administration leads to reduced consciousness. Can I abrupt Phenobarbital suddenly? No, you can’t abrupt Phenobarbital suddenly. It has habit-forming characteristics and causes serious withdrawal effects when stopped suddenly. Therefore, it is strictly advised to consult a doctor before stopping the medication. Can Phenobarbital cause withdrawal effects? Breathing – Phenobarbital can suppress breathing. You should always tell your doctor if suffering from any breathing problems such as asthma or breathing difficulties so that doctor can prescribe an appropriate effective dosage of medication and also if any special attention is needed or not, during medication. Liver function – Liver disease can interfere with the effectiveness of Phenobarbital use and also may cause more harm to the body itself. Discuss with doctor – your medical condition, the appropriate dosage with that condition and if it will be equally effective or not. Also know, if any special monitoring is needed. Regular blood tests may be conducted by a doctor to keep a check on your medical condition. Skin rash – It is rare that people on the medication of Phenobarbital develop any life-threatening skin rash. Always seek immediate medical attention if you notice a rash that gets worse and develops into blisters, sores over eyes or lips, or rashes that cover a large part of your body. Allergic to Phenobarbital or any ingredients. Are an old aged person, suffering from confusion or restless from sedative medication. How long does Phenobarbital stay in your system, urine, blood, saliva? Phenobarbital can be visible for a shorter time in some tests while in other it can detect even after 2-3 weeks. The time span for which it can be visible in tests also varies individually, depending on the rate of metabolism, body mass index, hydration level, age, and other health conditions. In urine, it can be detected up to 2-3 weeks. Blood tests for Phenobarbital can detect the drug for up to 5-10 days. It is visible in salivary tests for up to 1-10 days. In hair, it is present up to 90 days. Can Phenobarbital affect a drug test? Phenobarbital is visible in a drug test and can be detected up to 4 weeks. Supplementation of Vitamin K in both women and neonates. If Phenobarbital is used during labor, fetus’ respiratory depression should be monitored. If it is used during pregnancy, check the newborn fetus for withdrawal syndrome symptoms for up to 14 days. Phenobarbital is not recommended during breastfeeding as it easily passes into newborn infant through breast milk. If medication is continued, the infant should be regularly monitored for unusual weight gain, sedation or any developmental milestones. Infant serum concentration for this drug should be obtained if drug toxicity of Phenobarbital in infants is a concern. Methemoglobinemia is another potential risk since it is excreted in breast milk. Can geriatric patients use Phenobarbital safely? No, geriatric patients cannot use Phenobarbital as they have impaired overall function. Geriatric patients have a dysfunctional central nervous system and Phenobarbital has a direct sedative effect on CNS. Therefore, it’s use should strictly be avoided in geriatric patients. It has a depressing effect on the central nervous system and peripheral nervous system. Thus, an even slight overdose of the drug results in slow body functions, decreased consciousness (can also go into a coma), bradypnea, bradycardia, hypothermia, and hypotension. Massive overdose may lead to acute renal failure and pulmonary edema as a result of shock and can result in death. The electroencephalogram of the overdosed patient can show decreased electrical activity of CNS and PNS to the extent of mimicking brain death but it is usually reversible and patient recovers back to the normal from that state. Phenobarbital is a weak acid that is rapidly absorbed and transferred to all fluids and tissues with a high concentration in brain, kidney, and liver. It penetrates the tissues more efficiently if the drug is more lipids soluble. However, Phenobarbital has lowest lipid solubility, lowest brain protein binding, lowest plasma day, longest onset time span for effective activity and longest usage period among the barbiturates class. As far as excretion is concerned, roughly 25 to 50 percent of a dose of the drug gets eliminated in an unchanged form in the urine, whereas a number of other barbiturates excreted without being changed, in the urine is negligible. The excretion of unmetabolized barbiturate is one feature that tells apart, the long-acting class from those belonging to other types which are almost exclusively metabolized. The inactive metabolites of the barbiturates are excreted as conjugates of glucuronic acid. Can I drink alcohol while taking Phenobarbital? Phenobarbital itself is a sedative and brain depressant drug, therefore; it is strictly advised not to take alcohol with the drug. The combination will increase the depressant and sedative effect on the central nervous system and peripheral nervous system, leading to the symptoms of a drug overdose. Can patients with liver disease take Phenobarbital safely? Phenobarbital is known to cause liver problems in long term use. Therefore, it is recommended to avoid the drug with liver disease. However, it can be used with the prescription of doctor – the dosage, its effect and any special monitoring, if needed. Regular blood tests may be advised by a doctor to check how your liver is responding to the drug in the blood. Can patients with renal disease take Phenobarbital safely? Be it liver or kidney, the long term effects are similar on both as it is distributed in high concentration to both the organs after dissolving in a body. And as far as its safe use with a patient of renal diseases is concerned, it is not advised. Discuss the medical condition with a doctor to check if it can be administered in your body – the dosage, its effect, the time period for which medication will continue and any special monitoring if needed. The doctor will advise regular blood tests to keep a close look on your medical condition. According to a study by the pharmaceutical giant, the Cochrane group, 13 clinical trials were conducted to compare phenobarbitone with carbamazepine based on how effective the drugs were at controlling seizures and how tolerable any related side-effects of the drugs were. We were able to combine data for 836 people from six of the 13 trials; for the remaining 619 people from seven trials, data were not available to use in this review. It was suggested by the results that people usually tend to withdraw from phenobarbitone treatment earlier compared to the carbamazepine treatment. This is probably due to the fact that seizures recur, or there are numerous side effects of the drug or both. It has also been shown by the results that recurrence of seizures after starting treatment with phenobarbitone may happen earlier than treatment with carbamazepine for people with generalized seizures, but vice-versa for people with partial onset seizures. As far as achieving long periods of seizure freedom is concerned, no difference has been found between carbamazepine and phenobarbitone for people (six- or 12-month remission of seizures). Phenobarbital and Phenytoin are commonly used antiepileptic drugs throughout the world. And due to the fact that they are inexpensive, their use is more in developing countries than developed countries. Multiple studies have been conducted to compare the effects of Phenobarbital and Phenytoin on the body and which one is safer for use. To date, data have been obtained for four of ten studies meeting the inclusion criteria, amounting to 599 patients, or approximately 65% of the potential data. The main overall results (HR, 95% CI) were: a) time to treatment withdrawal 1.62 (1.22 to 2.14), b) time to 12 month remission 0.93 (0.70 to 1.23), c) time to first seizure 0.84 (0.68 to 1.05). These results indicate a statistically significant clinical advantage for Phenytoin in terms of treatment withdrawal and a non-significant advantage in terms of 12-month remission. Results for time to first seizure suggest a non-significant clinical advantage for Phenobarbital. The studies favor Phenytoin over Phenobarbital. Although there is no significant difference for seizure outcomes, the more withdrawal rates of Phenobarbital may be due to its side-effects. Can I use Phenobarbital for alcohol detoxification? Phenobarbital has been put to use for alcohol detoxification in recent times. Alcohol suppresses the human brain by enhancing inhibitory GABA receptors and suppressing excitatory glutaminergic receptors. The human brain adapts to chronic alcoholism. This allows alcoholics to survive even with high blood alcohol levels who would have died otherwise. But, the high alcohol blood levels also lead to withdrawal resulting in low inhibitory GABA receptors and up-regulation of glutaminergic receptors. 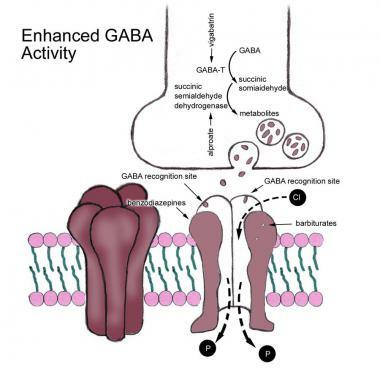 Phenobarbital administration, in this case, results in simultaneously enhancing GABA activity and suppressing glutaminergic receptors. Thus, Phenobarbital is used medically to restore normal blood pressure and neural activity in alcoholics. Can I use Phenobarbital for benzodiazepine detoxification? Benzodiazepine withdrawal often leads to withdrawal effects. Also, the body adapts to regular use of benzodiazepine, in long term leading to its addiction. Studies have shown that its abuse is common among persons suffering from co-occurring severe mental illness and substance abuse. The people who abused were scored high on anxiety and depression. Thus, Phenobarbital is used to slow down brain activity as counteract for benzodiazepine withdrawal. Crigler-Najjar syndrome is a rare CNS disorder which results in high level of bilirubin which often leads to brain damage. Often found in infants, Phenobarbital is used as the first-line drug for the treatment. As liver takes some time to work efficiently, the drug is used to reduce the bilirubin level in blood, which otherwise leads to hemolytic jaundice. Phenobarbital medication of 5 mg/day twice orally decreases serum bilirubin concentrations approximately threefold over a period of 30 days. The drug is efficiently capable of hepatic enzyme induction thus, most effective in the treatment of bilirubin disorder in people. Can Phenobarbital be used by patients with Gilbert syndrome? Gilbert syndrome is a genetic liver disorder. It produces a high level of bilirubin in the blood. Jaundice may occur in rare cases. The cause of hyperbilirubin is due to reduced activity of enzyme glucuronyltransferase which conjugates bilirubin. Phenobarbital reduces unconjugated bilirubin levels and can also relieve other symptoms of Gilbert’s syndrome. Thus, Phenobarbital is an effective drug in the treatment of Gilbert syndrome. Can I use Phenobarbital for cyclic vomiting syndrome? Cyclic vomiting is an uncommon disorder, described as recurrent, self-limiting, fairly uniform episodes of vomiting and intractable nausea usually without any identifiable organic cause. It is separated by symptom-free intervals. Phenobarbital is often used for the treatment. The dose usually ranges from 30 to 120 mg/daily. The average dose of 60mg/day is used in most cases. What is Ataxia? Can Phenobarbital cause ataxia? Phenobarbital can cause ataxia. And if the drug is accompanied with potassium medications, it can cause increased ataxia. What is Nystagmus? Can Phenobarbital cause nystagmus? Nystagmus is eye disorder for involuntary eye movements or rapid voluntary eye movement in rare cases. It may result in reduced or limited vision. There are two forms of ataxia – psychological and pathological with variants in each type. The causes of this disease may be idiopathic, congenital or secondary to pre-existing neural disorder. Alcohol addiction is also one of the major causes of nystagmus. Phenobarbital affects CNS and brain, which is responsible for involuntary movements of the body. Thus, Phenobarbital can cause nystagmus as its withdrawal effects. May phenobarbital cause paradoxical hyperactivity in children? Yes, Phenobarbital may cause paradoxical hyperactivity in children. What is amelogenesis imperfecta? Can Phenobarbital cause amelogenesis imperfecta? Yes, Phenobarbital can cause amelogenesis imperfecta. A rare abnormal function of the external layers of the crown of teeth or the enamel is presented by Amelogenesis imperfecta (AI). The compositions of enamel are mostly dominated by minerals which are formed as well as regulated by the present proteins, The malfunction of proteins in the enamel causes Amelogenesis imperfect: amelogenin, tufted in, enamelin, and ameloblastin. People afflicted with amelogenesis imperfecta have teeth with abnormal color: yellow, brown or gray; this disorder can afflict any number of teeth of both dentitions. A higher risk of developing hypersensitivity to changes in temperature, dental cavities, gingival hyperplasia, excessive calculus deposition, as well as rapid attrition is developed by the affected individuals. Yes, Phenobarbital is a controlled substance. It is highly recommended to start the drug only after a prescription from a doctor. The dosage should be taken in a regulated way. The human body adapts quickly to the drug. After long term use, abrupt stoppage of the medication can cause withdrawal effects. Therefore, the dosage should be reduced evenly for a set period of time. Is Phenobarbital considered as a narcotic? Phenobarbital is a controlled substance. Narcotics are usually used for opioids. Therefore, Phenobarbital cannot be considered under narcotics as it is a barbiturate. However, it is an addictive substance. It has withdrawal effects and should strictly be avoided from drug addicts, alcoholics and children. Is Phenobarbital for dogs safe? Phenobarbital is medication, used to treat seizures in dogs because it is relatively inexpensive, easy to use and effective in 60 to 80% of dogs with idiopathic epilepsy. It is first line drug for the treatment of seizures. The usual dosage of Phenobarbital to treat seizures in dogs is around 1 – 1.8 mg/lb every 12 hours, but it depends on how bad the seizures are. If seizures are severe, a “loading dose” may be required where a larger amount of around 9 mg/lb is injected intravenously (at a maximum rate of 60 mg per minute). The half-life of the drug after oral administration in dogs is 37-89 hours. Can I take Phenobarbital and warfarin together? Consult a doctor before starting the combination of Phenobarbital and warfarin. Studies have shown that the interaction between both did not produce appreciable changes in the prothrombin time until 1 week after starting Phenobarbital. Also, the cytochrome enzyme induction effect due to Phenobarbital lasted 3-4 weeks after discontinuation. Can I take Phenobarbital and Xanax together? Phenobarbital and Xanax cannot be taken together. It increases the side effects such as dizziness, confusion, drowsiness and difficult concentration. In elderly people, it can cause impairment in judgment, thinking and motor coordination. Avoid alcohol when using the combination, if prescribed by a doctor. How to make lean with Nyquil?